Thank you for considering our services regarding your outdoor tennis court, basketball, pickle ball and multi-game courts design, construction, repair, resurface and maintenance requirements. Courtex Construction, Inc. is an Austin, TX corporation, incorporated in 2010, with the goal of addressing the outdoor tennis, basketball, track, and court needs in Austin with a professional, honest and reputable company. We are a full service company specializing in the design/build of your custom court needs from Basketball to Tennis courts, we do it all. We also work with the finest manufacturers of outdoor sports surfacing systems to ensure you receive the highest quality product and experience. 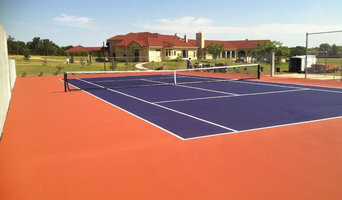 Sport Court® Texas Dealers are the only authorized Sport Court® game court and tennis court builders of Texas. 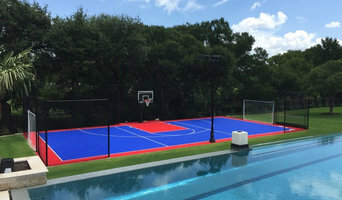 Since 1978, we have been building quality backyard basketball courts, multi-sport courts, and indoor home gyms for local families in Texas and its surrounding areas. Families that play together stay together” is our motto. We feel we have a unique understanding of parenting, kids, and sports. Our goal is to help kids spend less time in front of a computer or TV screen and more time outside playing with their friends. A foot pain recommended chiropractor has an exceptional understanding of foot problems, from pain and regular discomfort issues to sports injuries. 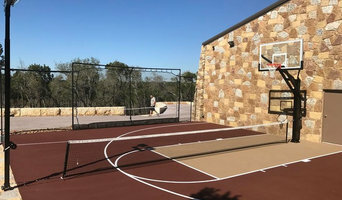 Backyard court builders also keep tabs on the latest in athletics technology to provide you with the most updated options possible for your Austin, TX court. With your input, they’ll design a space that’s customized for your wish list and your home, then handle the construction. When the inevitable wear and tear starts to show, your Texas backyard court builder can repair, resurface or replace the aging elements. To ensure consistent quality and style, your backyard court contractor might also work closely with an Austin, TX general contractor, remodeling contractor or landscape professional. Here are some related professionals and vendors to complement the work of backyard courts: Outdoor Play Systems, Landscape Contractors, General Contractors. 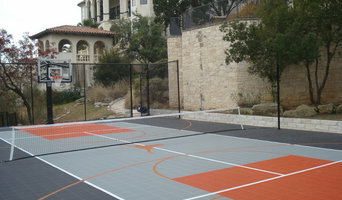 Narrow your search in the Professionals section of the website to Austin, TX backyard courts. You can also look through photos to find examples of Austin, TX courts that you like, then contact the contractor who worked on them.